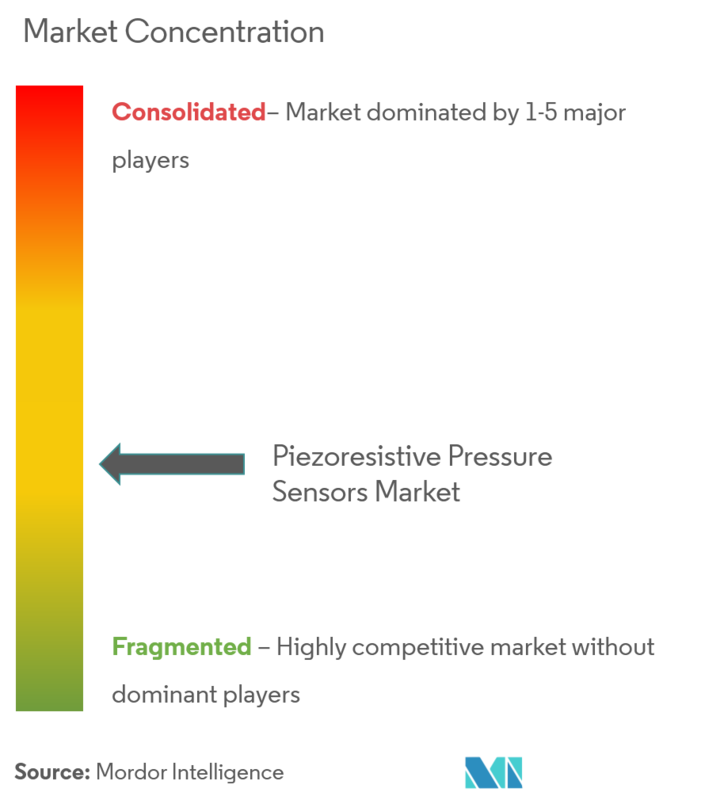 The piezoresistive pressure sensors market is segmented by Type (Ceramic, Silicon, Other Materials), End-user Industry (Automotive, Healthcare, Consumer Electronics, Industrial, Oil & Gas) and Geography. The global piezoresistive pressure sensors market was valued at USD 0.974 billion in 2018, and is expected to reach a value of USD 1.321 billion by 2024 at a CAGR of 5.74%, during the forecast period (2019 - 2024). Key trends state that microelectromechanical systems (MEMS) are now poised to capture large segments of existing sensor markets and to catalyze the development of new markets. The piezoresistive pressure sensors have been widely accepted as low-cost solutions. These sensors are comparatively less expensive than the capacitive pressure sensors, which is a major reason for the heavy competition between the capacitive ceramic pressure sensors and piezoresistive ceramic pressure sensors. The relative performance of the capacitive sensors is offset by the price performance of piezoresistive sensors. The rising pattern of miniaturization of sensors, which will prompt to adequate new open doors for the Piezoresistive sensors market. The organizations in this division are continually growing new Piezoresistive sensors particularly for risky/hazardous regions which will additionally help the Piezoresistive sensor market. Expanded vehicle request in developing nations and rising legislative concerns with respect to security is helping the piezoresistive market to develop and nanotechnology applications will positively affect the market development in the next couple of years. The principle favorable position of the piezoelectric sensor is the wide application regions which are a significant driver driving the market, for example, automotive, aircraft and so forth. Some sensors of piezoresistive need extra power during operation and the noise limit is high compared to capacitive pressure sensors which can be said that it is a restraint for the piezoresistive market. The piezoresistive effect is a change in the electrical resistivity of a semiconductor or metal when mechanical strain is applied. Piezoresistive pressure sensors are widely used for controlling and monitoring applications by MEMS technology. In the area of application, industries such as biomedical and aerospace are comparatively more precise in terms of size and weight requirements by which they are gaining more traction in the aviation sector providing fine sensitivity, as well as better linearity. Piezoresistive transducers implanted in a silicon wafer with bulk micromachined diaphragms have become the dominant technology for producing automotive pressure sensors. Ceramic has an inert nature to the majority of liquids in the automotive environment, such as to fuels, oil, brake fluids, cleaners, and water, among others. A strong design of sensors will enhance the reliability and long operational life of pressure sensors in the conditions, to provide formidable results. Due to increase in population, there is a consistent interest and demand for passenger vehicles and cars. For a normal buyer, cars are solid alternatives, as they have better eco-friendliness and security highlights. These components drive the development of premium vehicles which keeps on driving the offers of light vehicles, which in total add to an expansion in the demand for pressure sensors in the forecast period. Designers use automotive piezoresistive pressure sensors primarily in three application areas such as engine optimization, emission control, and safety enhancement. For average, cars are reliable options, as they have better fuel efficiency, safety features and are getting smarter. These factors drive the growth of piezoresistive pressure sensors market and this huge growth for the automotive industry is expected to drive the growth of the adoption of pressure sensors for different applications in the automotive industry. The region has a very active industrial sector and is influencing a robust growth in the automotive, as well as the healthcare industry and hence, has the potential to remain one of the strong markets in the piezoresistive pressure sensors market. The United States contributes to the majority of the market share in the region, followed by Canada, as per our research. The United States is expected to occupy more than three - quarters of the entire North American market share in the global market. 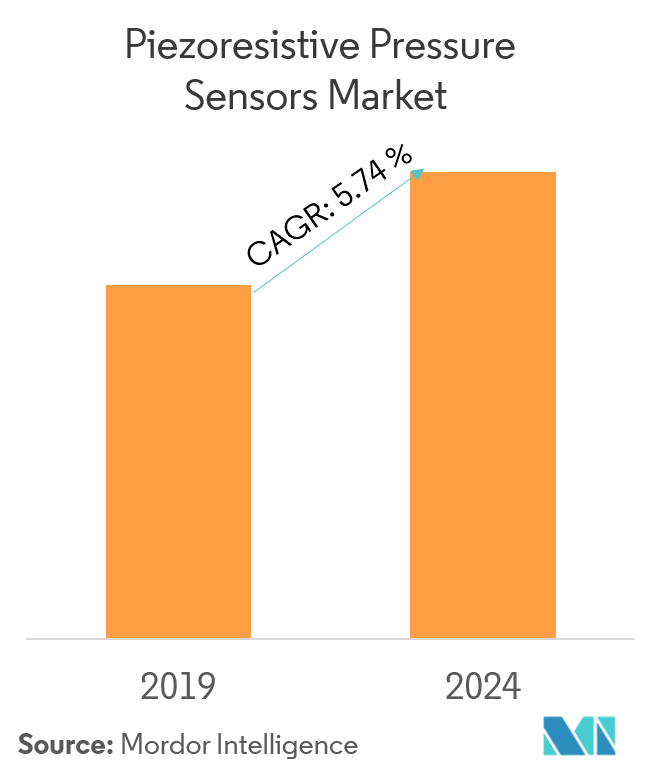 The rapid growth in the sale of force sensors in the United States is majorly driven by automotive end-markets, partially due to huge product obsolescence in the occupant weight sensing applications. Due to this, new business opportunities have emerged in the market. Due to awareness toward fuel economy and upcoming emission requirements, there is a rapid growth in the market. 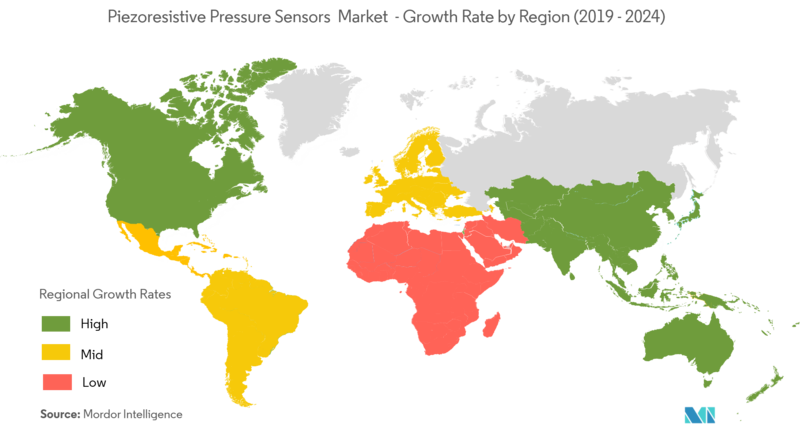 In Canada due to low cost, compact size, eco-friendly nature, and bulk manufacturing capability, these key drivers are the factors for the growth of market share in North America. 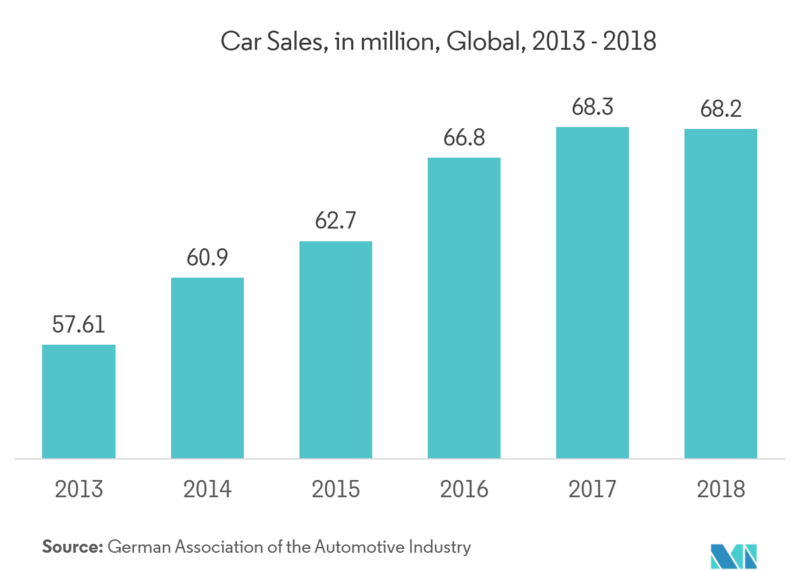 Apart from it, automotive sector application segment is leading the Asia-Pacific pressure sensor market, due to the increasing demand of automotive light vehicle production, due to which in coming years the growth rate will tend to increase. Piezoresistive pressure sensors are fragmented market due to high growth in automotive and consumer application, by which there is high competition in the market. Due to demand for handheld electronic devices with small form factor have a huge influence in various sectors Low power consumption and the lowest possible sizes are the major factors, which give a competitive edge over the industry players. 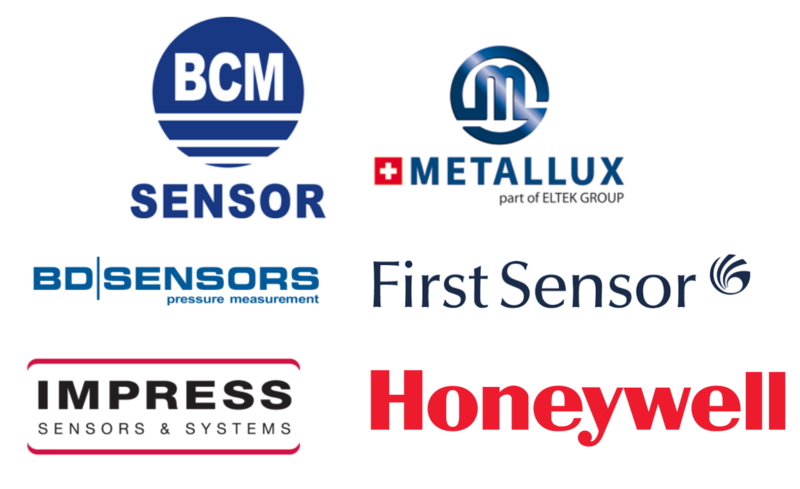 Key players in the market are BD Sensors GmBH, Metallux SA, BCM Sensor Technologies BVBA, First Sensor AG, Honeywell International Inc., etc. January 2019 - TE Connectivity Ltd. an organization, which is master in network and sensor arrangements, has been named a 2017 Top 100 Global Innovator by Clarivate Analytics. The yearly report features the best associations in the world that are dynamic in advancement through innovative work, security of their IP and the accomplishment of business achievement. This is the seventh back to back year TE has been perceived. March 2019 - A new quantum sensor is developed by researchers at the University of Waterloo's Institute for Quantum Computing (IQC) has proven it can outperform existing technologies and promises significant advancements in monitoring the success of cancer treatments and long-range 3D imaging. Impress Sensors and Systems Ltd .